Curtains are tough to pick sometimes because they’re semi permanent (not many people change their curtains monthly) and they can be costly. Unless of course, you have the elusive money tree, and again, please tell me your address if so. 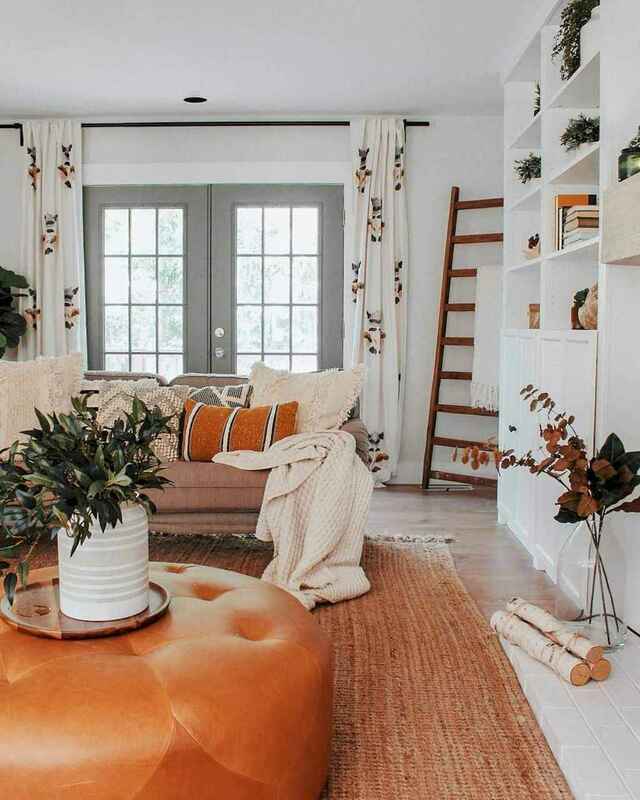 Decorating windows with curtains and drapes is a great way to add style, color and personality to a living room, but before you make a purchase be sure to consider all the options. Curtains and drapes come in a variety of different styles. Think about what suits the style of your room, and the window itself. Double panels are classic and create symmetry, while single panels are great in smaller spaces; panels with a valence are romantic and traditional, while panels with a pelmet are structured and formal. Also consider the type of heading you like best. Pencil pleats, grommets, French pleats and pole pockets are some of the most common, but there are other options out there as well. When it comes to living room curtains, size definitely matters. They should always be at least double the width of the window (even if you keep them open most of the time). It’s also very important that they be long enough. For a dramatic and elegant look they can puddle on the floor, and for a more contemporary and clean look they can just skim the floor. But they should never be higher. When drapes are too short they look truncated. If you’re getting store-bought panels (as opposed to having them custom made) it’s better to buy them too long and then have them hemmed. Window treatments are important decorative features that take up a lot of visual space. So make sure you consider them as carefully as you would any other major piece in the room.